Leading global financial derivatives brokerage firm, Oanda, has reported that it has enhanced the number of servers available on the popular MetaTrader 4 platform. The brokerage firm has launched a new server under its MT4 offering to cater to the growing number of traders that require charts and server times that show GMT +2 or the New York close. The move signifies the importance of flexible solutions for technical and automated traders. 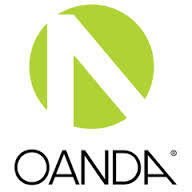 Financial traders requiring charts on the MetaTrader 4 platform to be administered to the time of the US market closing will benefit from the new offering launched by Oanda. The new solutions follow on from an earlier advancement Oanda made to its flagship fxTrade platform. The firm made the notification on its ‘Forex Lab Notes’ page, outlining the details of the new server. Traders use various techniques to assess the markets, technical analysis is commonly used to assess the past performance of financial instruments via charts. Brokers from across the globe set their platform timings depending on their location, client base, and where their servers were hosted, the server time is a strong factor that traders explore when sourcing brokers. The FX markets operate from Monday morning New Zealand time, till Friday evening when the New York market closes. A common issue for traders has been when carrying out their technical analysis on charting packages that do not adhere to the US market close (GMT +2), as a result the charts show a six-day week due to the server timings. The new server will cater to both technical and automated traders. Traders who use Expert Advisors often face issues with the way EAs have been devised, their performance can differ from one broker to another depending on the server time, liquidity and latency. Oanda’s Alex Case, opined in the notification on the reasons the firm made the enhancements: “Many of our clients have told us they want this feature on MT4 not only for the purposes of conducting technical analysis, but also to take advantage of many Expert Advisors and custom indicators. Oanda offered the five daily candles on its fxTrade platform earlier this year. The mechanism has been available to both MT4 traders and users of properties trading platforms as the number of automated traders increases.